Port 10 Logistics Center, a 3 million SF project near the Port of Houston, is under development. 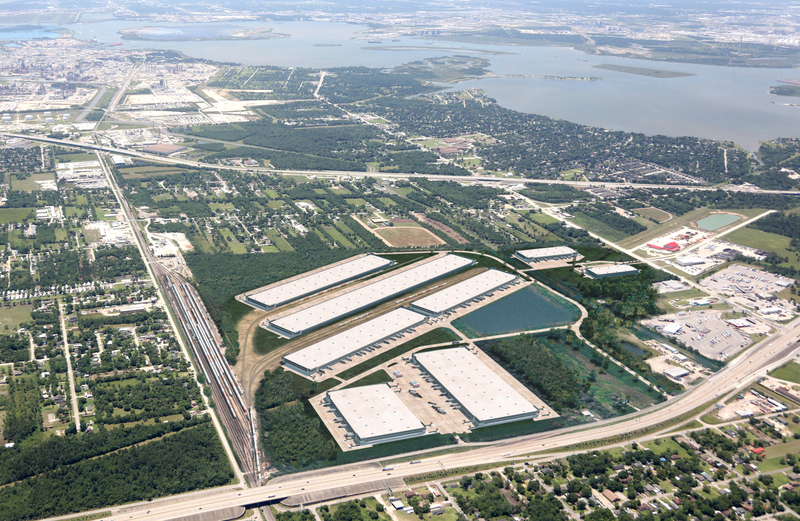 HOUSTON – (Realty News Report) – Houston-based Pontikes Development is set to break ground on Port 10 Logistics Center, a rail-served industrial development with 3 million SF of warehouse and distribution space on Interstate 10, near the Houston Ship Channel. The 246-acre development will be located at the southeast corner of Thompson Road and I-10 in Baytown. The first phase of the project will be completed in the third quarter of 2018. The first phase of Port 10 Logistics Center will include a 485,000-SF building and a 295,000-SF building. JLL’s John Talhelm and Kevin Erck will lead the leasing and marketing for Pontikes Development. Port 10 Logistics Center embodies a growing trend in Houston’s industrial market toward Class A, big-box warehouse space suited for the distribution of goods to consumers. Due to expansion in the consumer goods sector, brought on by consistent population growth, Houston has seen a notable rise in the number of big box deliveries to market. According to JLL research, a record seven warehouse and distribution facilities greater than 400,000 SF will be completed in 2017. With access to multimodal shipping, ports and distribution networks, Houston should continue evolving into more of a big-box market in the future. “Port 10 will be one of the largest multimodal developments to take place in the Houston metropolitan region in many years,” said Talhelm. Upon completion, Port 10 Logistics Center will encompass a total of 3 million SF, 2 million SF of which will be directly rail-served. The development will offer approximately 450 on-site railcar spots and direct access to Union Pacific’s Coady rail yard, which can provide additional storage for high-volume rail users. The industrial park’s rail system is designed to support the largest containers being shipped today and the biggest rail users in the area. Houston has more than 500 million SF of industrial space with an overall vacancy rate around 5 percent. The Baytown project is a sizable addition. “This development and the investment it represents builds on our commitment to Houston businesses, industry and the broader community,” said George Pontikes, president and CEO of Satterfield & Pontikes.